Young learners need to explore technology. The technology needs to be in their hands, where they are the ones navigating and manipulating various features in apps, websites, etc. So, just how does that happen with the kids? If you give a kid a device, they will poke at it, push buttons, click on things with no fear. They are not afraid to explore and are ready to learn new things they CAN do with technology. Digital literacy involves a person’s ability to use technology tools to perform tasks effectively in a digital environment. The kids need to learn how to use technology tools so they can create, communicate, and collaborate on ideas! I strongly feel that it is important that young learners know how to “read” icons. Just as people know the light colors on a traffic signal and what they mean, the kids need to know that icons are buttons on a device and they have “jobs” to do when you click on them. Below are visuals that I have pointed out to the kids along their digital learning journey. When introducing these visuals or icons for the first time, I do not pull up these Slides and teach the terms like it’s a vocabulary lesson; I show them “live time.” I zoom in on a current screen (CTRL and +) to blow up a web page to point things out and the kids can see icons in their natural setting. For things that are in a browser that cannot be zoomed in, like the refresh icon, I point out to the kids in a small group or an individual basis depending on the situation. 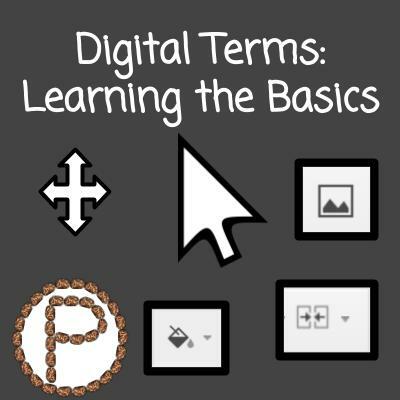 I am writing this in December, and at this point in the school year many of my students are remembering what the various cursors and icons symbolize. 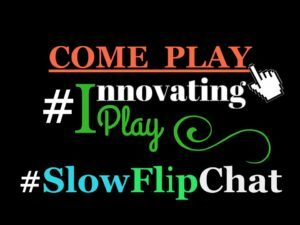 If anything, they will need a brief reminder, so I can just pull up these Slides and quickly spiral through these Slides with visuals they will come into contact with for a given activity. When I integrate technology with my kindergartners it is to give my them a different learning experience. There is ALWAYS a purpose or content tie with our digital activities. It might be obvious, but we WOULD NOT give students “tech drills.” We WOULD NOT give them images and teach them to select the image, look for the double arrow head, and shrink it. Instead the kids WOULD insert a picture and understand they need to select the image to resize it so they can see a sentence on a Slide or so they can add more content to the Slide. It’s important that we take that idea of ditching the drills and apply it to other applications in our teaching. We would not want our kids to write new words 5 times each to learn the spelling of the words. Instead we would want the kids to have practice seeing the words in context and be able to identify the words, or have the kids apply the words in writing. We definitively need to be thoughtful in the design of our lessons and so the kids can have meaningful learning experiences. 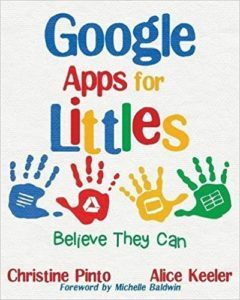 This entry was posted in Chromebook, Digital Literacy, Kindergarten by Christine Pinto. Bookmark the permalink.